Admission for one car on the day of the event. *Please Note* Refunds will only be issued if the event is cancelled or delayed. 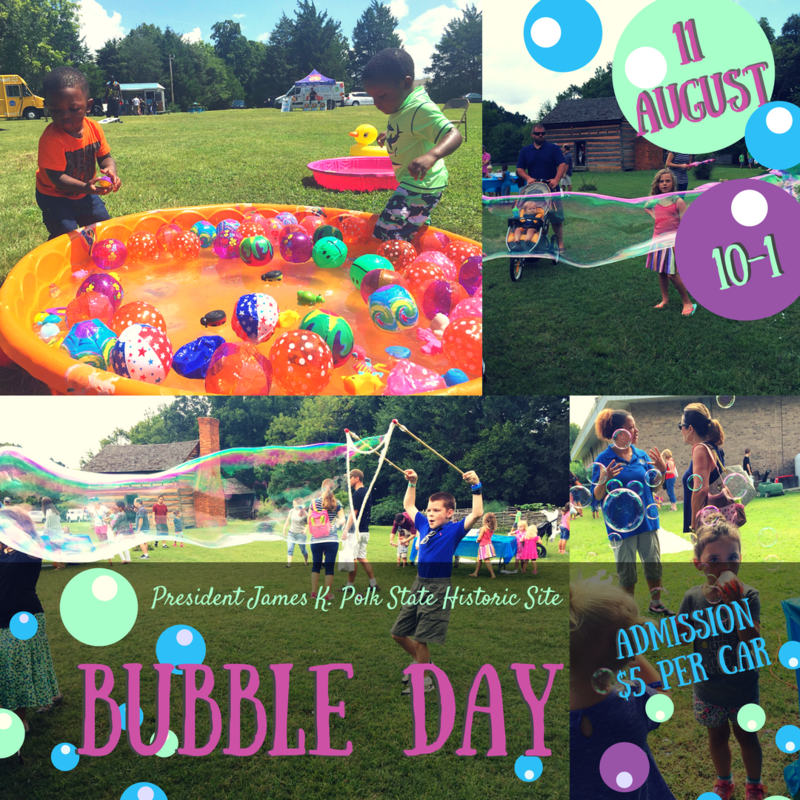 This program will feature a series of activities including arts + crafts, bubble-making areas, and a water play table for very little ones. Light, cooling refreshments and take-home treats will be provided while supplies last. Bring the family and test out the giant bubble wand, splash around with the rubber duckies, and make your very own bubble art. Parking at the event will be $5.00 for non-members and free for members of the Friends of President Polk's Birthplace. Save on admission by registering your family today! Early-bird parking vouchers are only $4.00 through July 31st.